The Blogger's Quilt Market Meetup took place last Saturday evening at the Blue Lemon Restaurant. And WOW what a party it turned out to be! Thank you to all of you who came! The turn out was SO wonderful, we were bursting at the seams. Back in November, when we started planning this little Meetup, we thought we might have 50 to 60 people join us for a get together. As it turned out, we far exceeded our capacity with as many as 150 friends! Lucky for us, the afternoon thunder showers cleared out just in time for us to spill out onto the patio. The Meetup was the perfect chance to see old friends. I loved meeting friends whose blogs I love and have never met before in person. 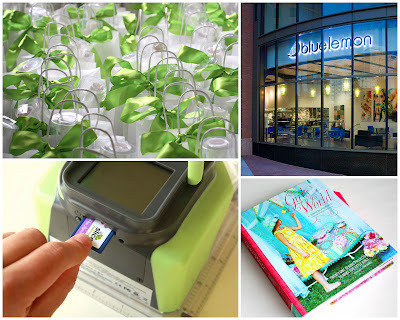 It was also a chance to meet some of our favorite designers, editors and quilt shop owners. I only wish I would have had hours more to meet and talk with everyone! A BIG THANK YOU to our amazing sponsors. You made this event possible! Our sponsors giveaways were incredible! Making Memories gave away not one, but FOUR Slice Fabriques. Sugar Town Quilt Co. gave away an awesome Beach Cruiser Bicycle. Are you so jealous? Me too! But it couldn't have gone to a nicer mom and daughter team, Alex and Ronni Chavez, who blog over at The Road Home Quilting. Other fabulous giveaways included books, fabric, gift bags, thread, and gift certificates to our favorite online quilt shops. Our sponsors also provided wonderful goodies for the swag bags! Between the good food and all the wonderful people, it was perfect night. Did you come? Did you blog about it? Be sure to link up up your post below! Or post your pictures on our Flickr pool. Market is HERE. It's time to Party! It's that weekend we've all been waiting for: Quilt Market is here! And let us say again, thank you SO much for the interest in this event. This is the first time any of us have planned something like this. We are so grateful to the sponsors who are making this possible. When we first started talking about the idea last fall, we thought, "wouldn't it be nice if we could get a couple dozen bloggers together during Market" and the response has exceeded all expectations. To get to the Blue Lemon from the convention center, take a left as you walk out the front doors (facing the Marriott). When you get to the corner, take a right and the Blue Lemon is half way up the next block. Here is a map. If you are driving there is parking in the underground City Creek parking garage for $2 an hour. And just to forewarn, The Blue Lemon does not serve alcohol. We are so looking forward to meeting you all! Thanks again for your interest. Time to party! 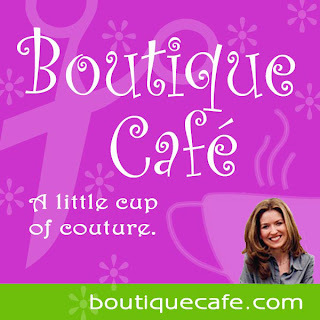 We are so glad to have Boutique Cafe as a sponsor for our meetup and so excited to have Daria with us at the meetup itself. For the past 6 years Daria and her crew have been producing online shows and podcasts highlighting topics of interest to fashion-savvy moms and moprenuers around the world. 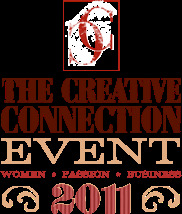 Topics such as shopping, celebreties, women in business, parenting, organization, fashion and SEWING! According to Daria, "Our goal is to give today's woman a break from reality, and voila, inspire her for when she returns." Here's an example of a sewing post - a review of Oliver + S patterns. Daria will be interviewing loads of designers at Market this weekend and broadcasting those interviews over the following weeks. You will definitely want to check back to get that taste of Market! 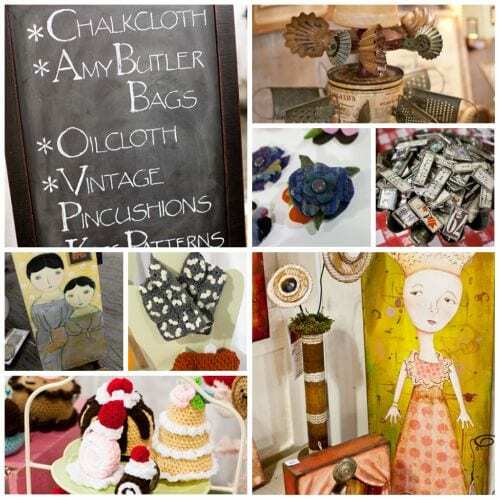 Here's an interview with Amy Butler conducted by Bari J at Spring Market 2010. 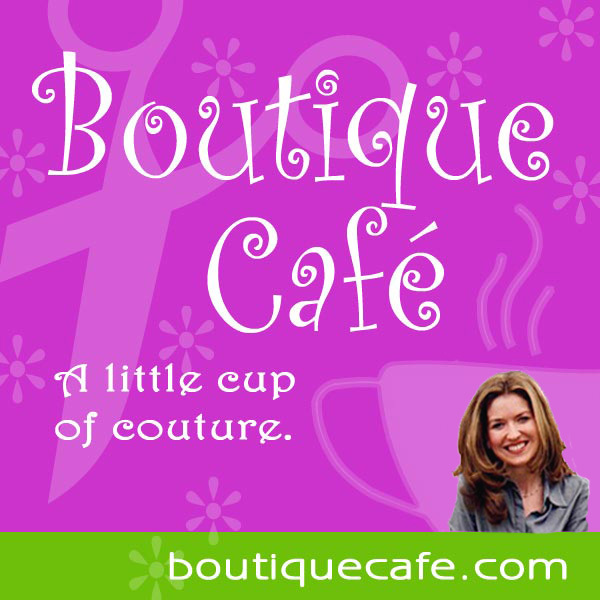 You can follow Boutique Cafe on Facebook and Twitter or subscribe to their newsletter here. Go here for a tutorial on listening to Daria's podcasts. They are sure to be awesome! The Blogger's Quilt Market Meetup is just around the corner and we are pleased to have Making Memories and the Slice Fabrique as a sponsor for the event. Think very fun giveaway my friends! A few days ago, I received a surprise package on my door step. The wonderful folks at Making Memories were kind enough to send me a Slice Fabrique and accessories to review prior to the Meetup. This spring has been so busy that my poor sewing machine is feeling quite neglected, so I couldn't wait to pull out some fabric and give the Slice a try. For those of you who aren't familiar with the Slice Fabrique, it is a digital fabric cutting tool. What you see in the photo is the Slice Fabrique along with the Hands Free Kit, which comes with a 12" x 12" tempered glass cutting mat and a magnetic collar. The Slice Fabrique Starter Set comes with a smaller 6" x 6" tempered glass mat and requires hands while it cuts. After getting all the fun toys out of the box, my first impression of the Slice Fabrique is that it seems very well made and solid. There is an attention to detail and a quality which really impressed me. But how does it work? After a quick read through the quick start guide I was ready to get started. The first step is to plug it in to charge. Since I am impatient, I didn't wait for it to charge, but used it plugged in. Having a cordless option is very nice. The next step was preparing the mat with a little Repositionable Spray Adhesive. I went straight for the spray can, but you can use the foam brush and liquid adhesive too. The one time spray was sticky enough for multiple cuts in one sitting and when I was done it wiped easily off the mat with a cloth damp with water. Last but not least, prepare the fabric by ironing on a fusible web product like Heat 'n Bond Lite to the back side of your fabric... just like I would for most applique projects. I used the Slice Fusible Web, but I think any fusible web would work. On my next project I want to see if freezer paper works, for times when I don't want adhesive on the back of my fabric. It wasn't long before my girls were looking over my shoulder and bending down to look through the clear casing to watch the Slice as it cut the fabric. When it finished its first cut and I took the Slice off the mat, they both said, "Oh it didn't work!" Then they both said, "Jinx." "Double Jinx!!" "Triple Jinx!!!"....... don't you just love 3rd graders? But when I got out the spatula and began to remove our butterfly... they were impressed and seriously excited. After that it was a mad scramble to look through all the design cards and a lot of brainstorming about the projects they want to do. I must admit to feeling the same way. The cut was crisp and clean. And it was fast. This could be addicting. The Slice comes with a Basic (but generous) Design Card that includes an alphabet with numbers, lots of iconic shapes like leaves, butterflies, flowers, vehicles, fruit and vegetables... and more. In addition to the Basic Design Card, you can purchase additional design cards which makes the possibilities with the Slice Fabrique endless. The design cards look similar to a camera's memory card... and are just as easy to insert. My personal favorite is the frog. It would be so fun to use these to embellish a school bag or make a quiet book for a toddler. How about making a patch for a torn out knee? A little boy would love a puppy dog patch or an alligator. Oh my! I can envision lots of embellished tee-shirts too. An embellishment is a great way to cover a set in stain... talk about making lemons into lemonade! It was the first card I tried in fact, to make the butterfly to embellish a plain white tee-shirt. In a matter of half an hour, I made about 10 butterflies in fact... learning how it works, trying different fabrics and playing around with spacing. This brings me to my one complaint about the Slice. I like to squeeze blood out of a turnip, and with fabric, I know how to maximize every inch. But with the Slice I had a little more fabric waste than I would have liked. Try as I might, I couldn't figure out where the Slice would start cutting, so I was limited to cutting one shape out of about a 5" x 5" piece of fabric. That's not a lot of waste, but much more than if I were cutting by hand. I am confident with a pair of good, sharp scissors and some Heat 'n Bond Lite or freezer paper, and a template traced in a sunny window. I can cut pretty intricate designs quite cleanly. But I have friends for whom fine cutting is a real challenge... and projects like making my Advent Calendar Pattern (with all the fine cutting of the numbers) is a little daunting. So the Slice Fabrique would be a great option for anyone who isn't comfortable cutting by hand, but wants to stretch in their applique projects. It also is nice for someone like me since, once you get the hang of it, it's faster (and more accurate) than by hand... and there are a lot of fun template options. Speaking of my Advent pattern, I was thrilled to see the 'Tis the Season Design Card. There are more than enough templates to make a different small ornament for each the 24 Advent days. Another nice thing about the Slice is you can select the size of your design up to about 1 to 4 inches. SO COOL! The Slice Fabrique would make short work of all that tracing and cutting. The Slice says it cuts through thicker fabrics like wools and felts, and I can't wait to give it a try. When I do, I'll be sure to post an update as to how it works. In no time at all, I finished a darling embellished tee-shirt finished for my girls. I stitched around the butterflies using a small blanket stitch on my machine and added a little button for fun. The very nice Making Memories folks will be at the Meetup showing a little demo... so you'll all get to see the Slice Fabrique in action! We are so excited to have Kris and Kim from the DIY Dish in person at our meetup as well as sponsors of our event! Kim and Kris are in their third season of delivering online video craft adventures. They share clear and simple step by step instructions for creating all kinds of crafts. They have recently be featured on the Rachel Ray show and the Nate Berkus show. We're so excited to have them at our event. They will be giving away a DVD of their Summer Craft Series for Kids to all event guests with a paid reservation! And if you can't be at the event in person they are having an amazing giveaway on their blog right now! You can follow the DIY Dish on Facebook and Twitter as well. Kim and Kris also run the popular site YouCanMakeThis.com - a great resource for all kind of crafting patterns and ideas. All patterns on the site are available for instant download in pdf format. And as if that wasn't fun enough, Kris is opening a new Quilt Shop in Logan Utah very soon. Go HERE to sign up for the shop's newsletter with information about coupons, grand-opening specials and more. 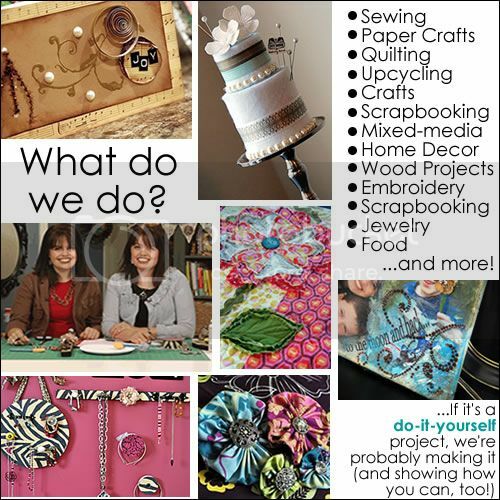 We are so excited to have Where Women Create as a sponsor for the Quilt Market Meetup! If you are looking for creative inspiration you can subscribe to the Where Women Create magazine showcasing the spaces where talented women - chefs, musicians, designers, etc. - do their creating. Or look for the Where Women Create book for further inspiration. And if you're looking for real life, hands-on inspiration, learn more about the Creative Connection Event - a three day convention held in St. Paul, MN September 15-17, 2011. An amazing collection of workshops on everything from social media to cooking, sewing and jewelry-making, it is a fantastic event packed by hundreds of talented women. You can keep up with the Where Women Create Blog, or follow them on Facebook or Twitter to keep up with all the preparations for the Creative Connection. 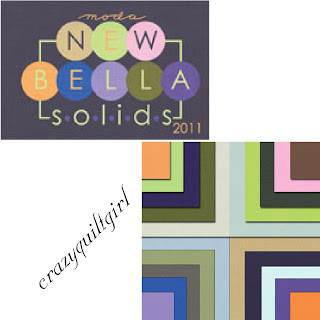 CrazyQuiltGirl Fabric Shop is owned and run by Corinna Jones out of Detroit, Michigan. She specializes in carrying all the latest Moda collections (including Bella Solids) in yardage, pre-cuts, and quilt kits, all at great prices. Crazygirlquilt also carries a wide selection of the latest quilt patterns. You can follow Corinna on the Crazyquiltgirl Blog, or on Twitter to get the details on all the newest sales and latest arrivals. Quilts of Valor kit available at Crazygirlquilt Fabric Shop. Corinna is giving away a $75 gift certificate at the Quilt Market Meetup! Thanks again Corinna for your generous support! Interested in being a sponsor for the Blogger's Quilt Market Meet-up? Come drop by! The weather is looking great for the weekend of Market and we will have room to overflow onto the patio! Please send us an email [quiltmarketmeetup @ gmail.com] if you think you are coming and don't already have a reservation. Coming to Quilt Market Meet-up? Link to your blog!